It's becoming more and more popular to lease a brand new car or van, for the main reason that leasing can work out a lot more affordable than buying a vehicle outright. There are benefits included in the cost of leasing, but there are some things that are not – one of those is insurance. This guide will explain everything about car insurance for a leased car. What Is Included in the Monthly Payments? How Do I Set Up Insurance for a Leased Car? Once you’ve decided on the car you want, the length of the contract term, the mileage limit and how you’re going to finance it, then you will need to pay an initial payment (or deposit). After that, you’ll continue to pay fixed monthly payments until the term finishes. Throughout this period, the car doesn’t belong to you. If you want to keep it when the contract finishes then you will need to pay a balloon payment (subject to the financial agreement you’ve signed up to). When the contract ends, you will hand the car back to the finance company and either walk away or start another contract with another brand new model. The length of the term (the longer it is, the lower the monthly payments will be, but you will end up paying more interest overall). The size of the deposit – the more you pay at the start, the lower your monthly instalments will work out. Another reason why leasing is so popular is that maintenance costs are taken care of if there is something faulty with the vehicle. Road tax is also included in the cost, so you don’t need to worry about arranging this or renewing it. You will need to arrange your own vehicle insurance, however, as this isn’t included as part of the leasing deal. Insurance is a legal requirement in the UK, and you must have it in place before setting off in your vehicle. If anything happens, such as a road traffic accident or the car is stolen, you must be financially covered. When it comes to choosing the right type of insurance for your leased vehicle, fully comprehensive cover is essential and it will protect you fully against theft and being involved in an accident. GAP insurance is an optional type of cover, but it is usually encouraged by car dealers. Third party-only insurance is not suitable for a leased a car. Before the finance company deliver the leased car to you, you must be able to prove you have taken out insurance and that it is a fully comprehensive policy. Once you’ve taken out the cover, you will have a certificate of proof with your name, registration number and date (this must be before the car delivery date). This covers you against any damage caused to other people, their vehicle and other possessions. It covers any damage done to your property as well as you, should anything happen. 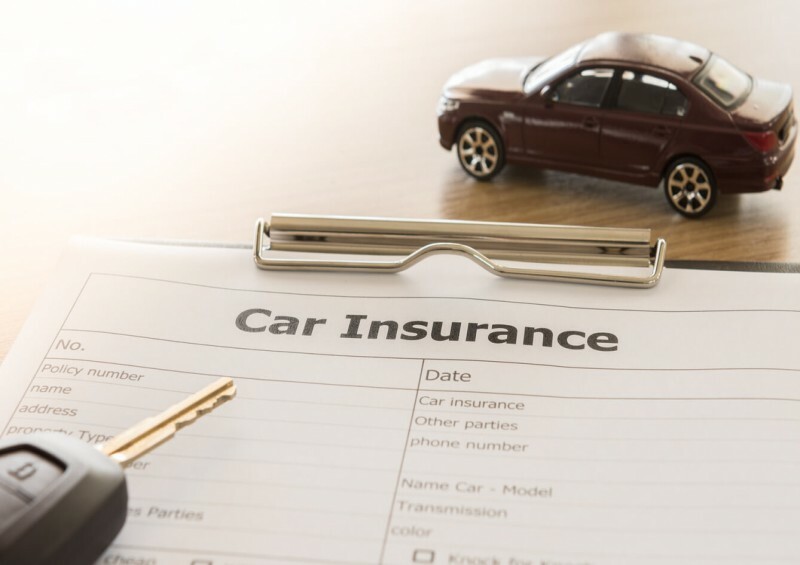 This type of insurance can work out more expensive as you don’t own the car in a leasing contract, so be sure to take this into account when working out the total cost. Another optional insurance policy is Guaranteed Asset Protection (GAP) insurance. Many dealers will insist that you take this out on top of your leasing agreement because there is more protection for them if the car was damaged or stolen. Whenever you buy a new car, it immediately loses value as soon as it leaves the forecourt. This is known as depreciation. Generally, vehicles lose around 60% of their initial value over the first three years, but you don't need to worry about this when leasing. If you had an accident a few weeks after buying a car and it was declared a write-off (total loss), the car insurance provider would usually pay out for the current value of the car (the amount it is at the time of the accident), compared to what you paid at the start when it was brand new. So you’re losing out financially. GAP insurance protects you against this, covering you for the difference between the car’s current value and the original price it was at the start. This is the main reason why finance companies insist that you get this policy when leasing a car – so that if you had an accident, the dealer isn’t losing out financially. For more information, see our complete guide GAP Insurance Explained. In the event of an accident, you would have to pay for any damage done to your own vehicle, as this type of insurance policy only covers other people and damage done to their car or other property. When leasing, you never own the car, so paying for a damaged car that isn’t yours is even worse. When the lease contract ends and you return a vehicle that has been damaged in the past, you could be faced with charges even though you paid to have it repaired. So effectively, you could end up paying for the damage twice! Insurance premiums are based on a number of factors; one being the value and performance of the car. There are a lot of insurance groups that cars fall into, numbered 1 to 50 - starting from the cheapest up to the most expensive. Cars that fall into group 1 are generally quite cheap and less powerful, for example a 1 litre Citroen C1. Those that fall into group 50 are a lot more expensive and powerful, such as a 4.2 litre Audi R8 Spyder. The higher the group number and the higher the power, the more expensive insurance will be. This is because more powerful cars have a high risk of being involved in an accident due to their acceleration and speed. In the event of an accident, the insurer would also have to pay out a significant amount for repairs or a replacement vehicle. Generally, the less valuable the car, the lower the premiums will work out. If you have an additional driver on the policy, this can help reduce the premiums if they are a low risk to the insurer. They evaluate a person’s risk by looking at things like age, driving offences, experience and job. An older, experienced and responsible driver would reduce the cost. Having a black box fitted means that your speed and quality of driving is monitored, so the more responsible you are, the more you will see a reduction in your premiums with a black box policy. Do your research online and make sure you compare different insurance prices to make sure you’re getting the cheapest and best deal for you. Park in a good location – if it is in a safe place, with a very low risk of theft or vandalism, then this will lower the insurance. Cars that are parked in a driveway or garage usually have the cheapest insurance. However, in some cases, parking on the street can work out cheaper – so be sure to compare the prices for different parking locations. Having a higher excess amount (the amount you’ll have to pay in a claim), the lower your monthly payments will be. A major factor in determining your monthly premiums is your no claims bonus (NCB). Making a lot of claims for minor damages that do not cost much more than your excess can have a bad impact on your NCB and therefore increase the cost of premiums. If you opt to pay your insurance yearly, rather than monthly, then this can reduce premiums significantly too. If you are signing up to a financial agreement, such as hire purchase (HP), personal contract hire (PCH), business contract hire (BCH) or personal contract purchase (PCP), you are not the owner of the vehicle throughout the leasing term – the finance company own it. It is vital that you tell the insurer this when you contact them to set your insurance up - they will take you through the process step by step. The car must be insured from the day it is delivered to you right up until the day it is handed back to the finance company. You must be able to prove that the vehicle has been insured before they can deliver it to you. While it is your responsibility to arrange appropriate insurance, we can give advice and help you with everything else here at Complete Leasing. Our experts can provide advice on the best finance option for you and help to find you the car you really want with the best deal in the UK. For more information, take a look at our other resource pages or contact us today with any questions regarding how leasing works or the various ways to finance a car. We’re always on hand to help.